What is Program Portfolio Management? A lot of programs run by organisations are not day-to-day or month-to-month by nature – they are one-offs. These more complex programs make a fundamental difference to a business, typically measured in terms of contribution to sales, profits – or in a company’s market capitalisation. They establish and build a Company’s competitive advantage and should realise significant corporate benefit. There should be a decision, as to where a complex program fits amongst a company’s day-to-day operations. Business-critical programs need to be treated differently from ‘business-as-usual’ as they are not ‘usual business’ for the organisation. Because of their importance – and the relationship and competition for skills and resources between them – the programs should be looked at together, in a Portfolio. 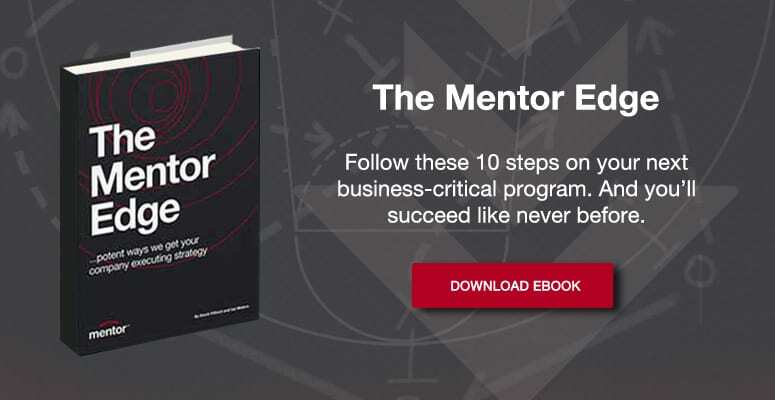 But, without the right internal structures in place, these business-critical programs can easily join the quagmire of programs that collapse every year – and can have a serious – perhaps terminal – impact on the business’ future. Program Portfolio Management ensures programs across the business are aligned with the overall business strategy and, together, deliver the expected Return on Investment. With a clear vision comes a clearly defined program baseline – describing the purpose of a program, its benefits, the work – and how that work will be delivered. The Cost – a baseline for the budget, including resources – people, equipment and services – required to complete the program. A properly managed Program Portfolio requires a ‘Directing’ PMO, with a core team of key specialists. The Directing PMO goes well beyond co-ordination – it actually takes execution responsibility, controlling all the levers required for successful delivery. This Portfolio Director is an Executive – not a ‘coordinator’ – and will spend a great deal of time with the relevant C-level executives, – providing clear updates on progress and identifying ‘road blocks’ that inevitably will need to be removed – with their help. The relationship between Portfolio Director and the Company’s Executives must be open and honest; delivered with integrity – creating a high level of trust.